Shift Supervisor OCI Nitrogen, Marc Lenoir, has just finished his shift. Since April 2018, he has made the switch from Sitech to OCI Nitrogen. A remarkable change that he likes very much. As Shift Supervisor, Marc manages a team of 18 operators in the melamine factory. Before he could start in this new position, he first had three months of training, but most of the rules and procedures he already knew from his previous position. 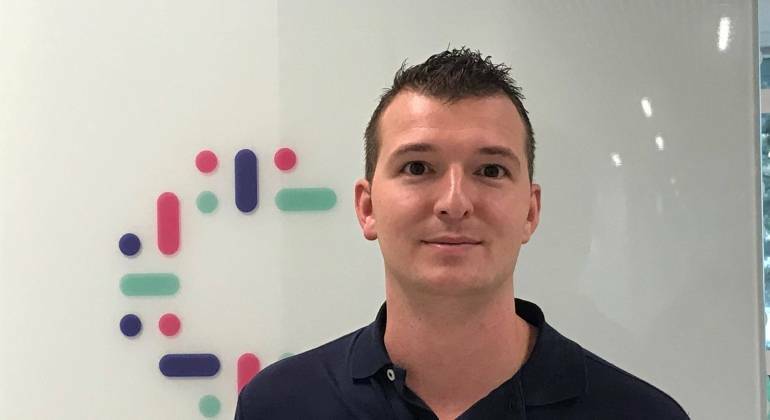 Marc started, after his Higher Vocational Education specialized in Chemical Technology at Zuyd University of Applied Sciences, as a Process Engineer at Sitech. From this position he supported several factories. He was ready for a new challenge and decided to take this step. He is pleased with the shiftwork. He gets a lot of free time in return, which he likes to spend with his daughter. "The nice thing about this (and the previous) function is the alternation. Not a single day is the same ", Marc says. "I am mainly managing the team and much less with the content. That makes it very interesting. The team I supervise varies enormously in age, between 22 and 60 years of age. As a Shift Supervisor, it is important that you can motivate and excite people and, not unimportantly, you must have a healthy dose of decision-making skills. Those elements together are important at work."